Maximize performance during periods of heavy traffic! Managed Windows Dedicated Server hosting is designed to support your high workload applications and heavy traffic website. Exabytes managed Windows dedicated server hosting has gone through the reengineering process to serve your customers at blazingly fast speed coupled with reliable uptime. Enjoy 24/7/365 dedicated professional support, blazingly fast performance, reliability and a highly customizable server without restrictions. On sale – Save up to RM1700! On sale – Save up to RM3600! Doesn’t matter local or international bandwidth! Boost server bandwidth up to 100Mbps. Manage your Windows dedicated server with just 1-Click. With Plesk Onyx control panel. No programming skills are needed. Need SQL Database for Server? Windows dedicated server wouldn’t be complete without Microsoft’s most popular SQL database. We also support Windows server 2008/2012/2014 (Upon Request). 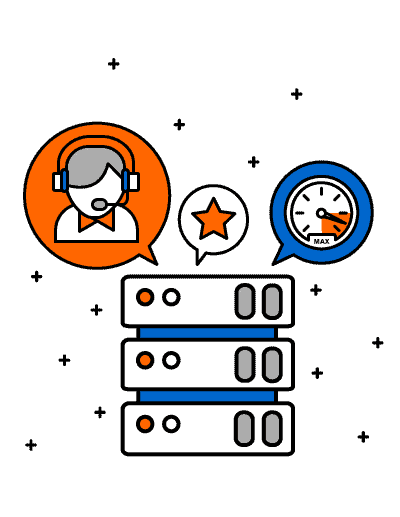 Enjoy unprecedented support with our Managed Windows Dedicated servers, with our readily-available 24/7 Dedicated Support team for your server’s storage, performance and hardware administration. Our Value Instant Dedicated Servers use the latest hardware technologies loaded with 32GB memory, Single Quad Core Intel Xeon E3 and 2 X 2TB Enterprise SATA hard disks. Your website can handle heavy workload without problem with the fast processors and you can easily multitasking with high RAM capacity. How can I manage my server effectively? Exabytes Windows dedicated server hosting that comes with cPanel (optional) or Plesk control panel gives you complete control over your server, allowing you to create and customize your account. How long does it take to get Windows dedicated server running? We hope to serve your customers fast. A server with standard configurations can be set up in less than 4 hours. Servers that require add-ons or custom configurations may take a longer setup time. An Asia’s renowned data center that is situated in Malaysia’s intelligent city, Cyberjaya. It has multiple backbones from Tier 1 ISPs which allow global reach and fantastic QOS. It is the only IP transit service in Malaysia that provides SLAs. Connected with good latency to major destinations worldwide and an estimate of 0.01% packet loss rate across the network.